Don’t be fooled by misleading stories about Prime Minister Benjamin Netanyahu’s disappointing showing in Tuesday’s (4/09) election in Israel. 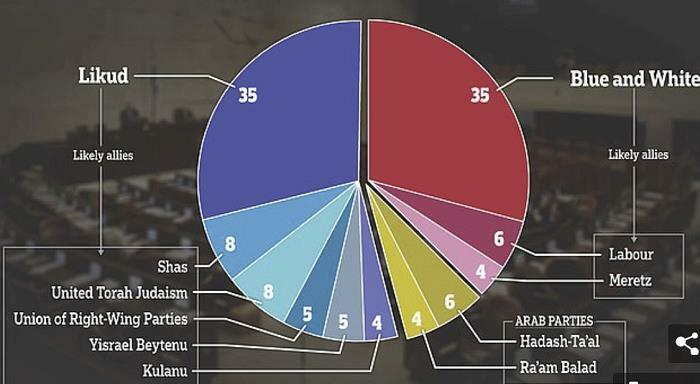 With 120 seats in the Knesset, the Likud coalition has a clear majority of 65. Center-left social democratic parties have been in sharp decline in recent years across the Western world. But nowhere has the collapse been more stunning than in Israel, whose founders and ruling class for the first 30 years of the country’s existence were very deeply linked with the labor movement. Israel’s Labor Party has been in retreat ever since the collapse of peace negotiations with the Palestinians in 2000. 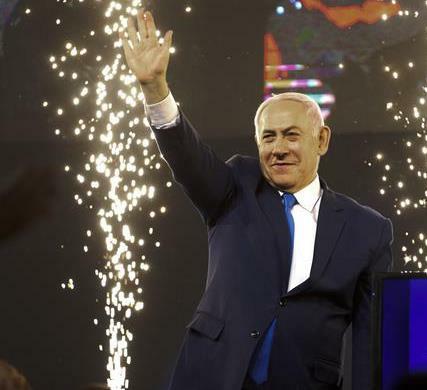 But its showing on Tuesday was truly astonishing: With 5 percent of the vote, the Israeli Labor Party is now less than two percentage points away from failing to clear the minimum threshold (3.25 percent) for winning seats in the Knesset. The party is approaching the possibility of extinction. And it’s not as if another left-wing party has benefited from Labor’s eclipse. With 98 percent of the votes counted, Meretz, a social-democratic and green party, had pulled in a barely viable 3.3 percent of the vote. The Arab parties, meanwhile, suffered from record low turnout (the largest came in at 5 percent), and they are forbidden from joining governing coalitions regardless. And that’s it for the Left. That leaves Netanyahu very well placed to form a government quite similar to the solidly right-wing one that has been ruling the country since 2015, albeit with one significant change: Likud’s share of the vote looks to have increased from 23.4 percent to a little under 30 percent (with seats in the Knesset expanding from 30 to something around 35 out of 120). And he did it while running for re-election under threat of indictment — by warning ominously that if Likud lost, the Left would take over Israel. Which is another way of saying that what American political scientists call negative partisanship has been extraordinarily effective for the Israeli right. It has done nothing for the Israeli Left because, in an electoral sense, there is no Israeli Left. It exists now primarily in the minds of the Right — as an existential threat, a sort of suicidal impulse toward surrender to Israel’s many blood-thirsty enemies that must be resisted at all costs. Gantz may have campaigned as the anti-Netanyahu, but his disagreements mostly focused on the corruption investigation and domestic issues. On the Palestinian question and Israel’s relations with its neighbors, the former commander of the formidable Israeli military came down quite close to Bibi’s positions, and he maintains close ties to sharply hawkish members of the Knesset. This would not have changed if his alliance ended up forming a government, because any governing coalition would need to include at least some of the same right-wing parties that have been Likud’s partners for the past four years. And that’s assuming Blue and White doesn’t join together with Likud itself to form a national unity government. Damon Linker is a senior correspondent at TheWeek.com, and the author of The Theocons and The Religious Test.